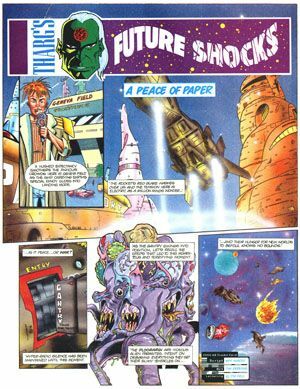 This was the title of Tim's first "Tharg's Future Shocks". 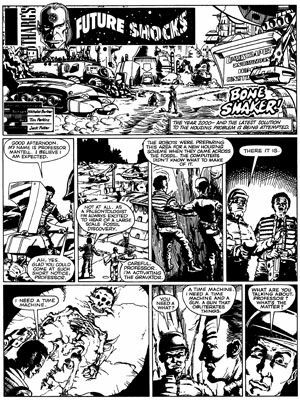 Bone Shaker was a single self contained episode that appeared in 2000AD issue (Prog 715). 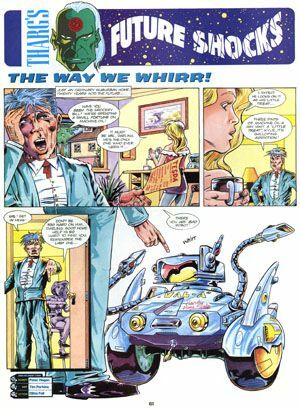 The story ran for a total 5 pages in length. 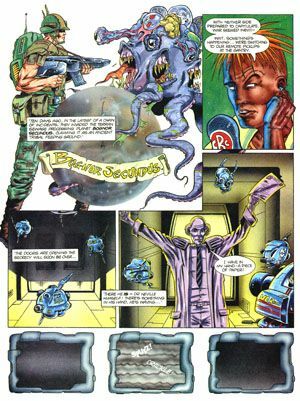 The story appeared in Black & White, in the days shortly before 2000AD became completely a full colour comic magazine. 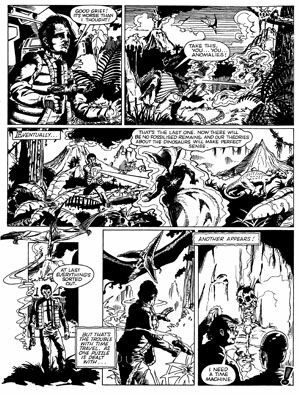 This was the second of Tim's "Tharg's Future Shocks". 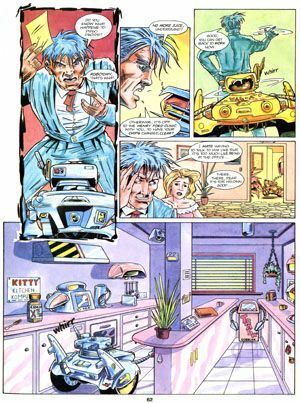 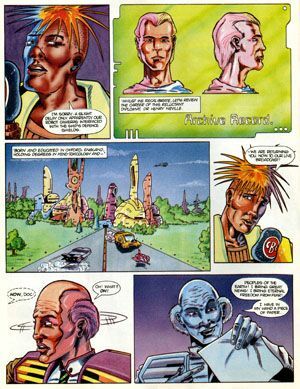 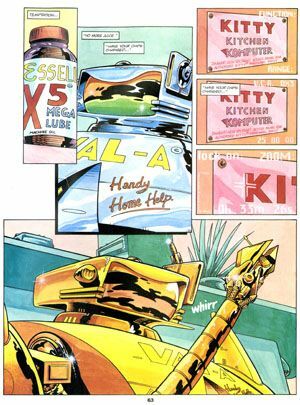 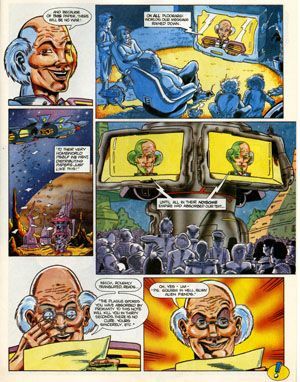 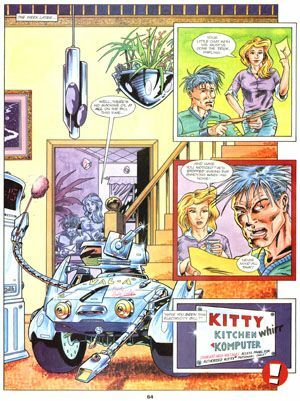 A Peace of Paper was a single self contained episode that appeared in 2000AD issue (Prog 747). 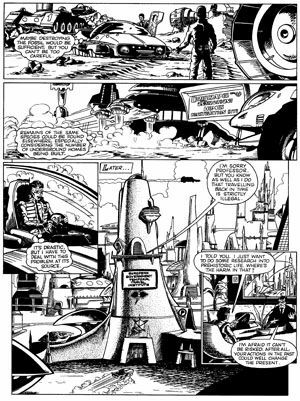 The story ran for a total 4 pages in length. 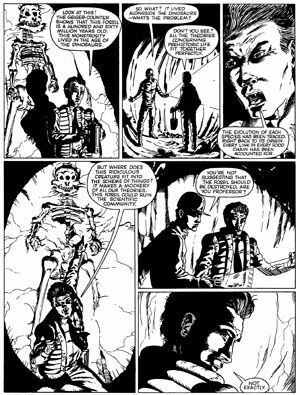 The story appeared in fully painted colour. 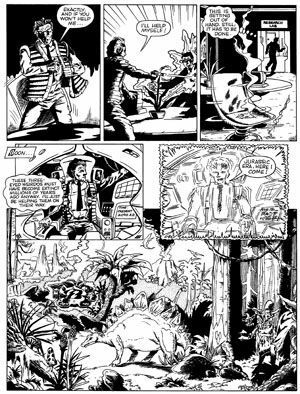 The story appeared in fully painted colour and was Tim's last work for 2000AD to date.